The music video for “One Dream One Korea,” a new unification song composed by Kim Hyung-suk with lyrics by Kim Eana, was released on September 18, 2015. The song is creating a buzz among K-pop fans lauding over the performances of stars like Baekyun from boy band EXO and Solji of Girls’ Day. Another part of the video features a brief scene of two elderly Korean men in suits singing, “Let’s remember once more . . . .” above the background harmony of the 20 plus popular singers and actors. Those few seconds definitely stand out – but so does the story behind the frame. The two men are representatives of opposition parties in Korea, Kim Musong from the Saenuri Party (New Frontier Party-NFP) and Moon JaeIn from the New Politics Alliance for Democracy (NPAD). The relationship between the conservative Saenuri party and the liberal NPAD has been tumultuous. 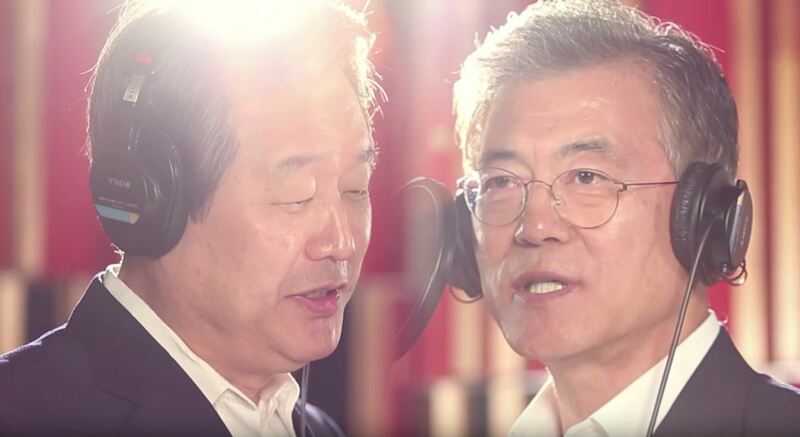 The scene in the One Dream One Korea music video captures a significant coming together of opposing parties for a greater cause–uniting the Korean people together for one dream. 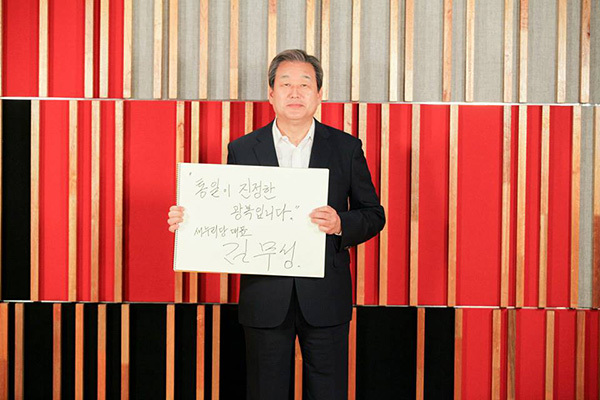 The song is raising awareness of more than just the division between North and South Korea as it touches upon the many divides between Korean people–between Koreans in the homeland and the diaspora, amid staunch regionalism, and among political parties that have a heated history of competition that include physical confrontations in the National Assembly. 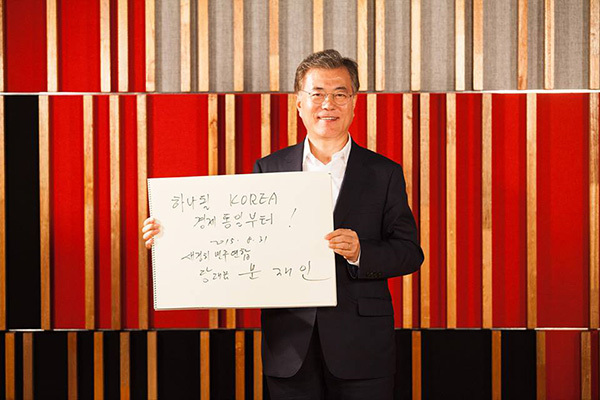 The “One Dream One Korea” song is part of The New Era of Unification Song Campaign organized by 1100 civic Korean and international organizations. The song seeks to raise awareness and encourage action for Korean unification from all ages, especially youth. The song will be the centerpiece at the 1 K Concert to be held at the Seoul World Cup Stadium on October 9, 2015.